Christmas food means something different depending on which side of the world you’re thinking of. But people celebrating this holiday have something in common on Christmas day: a bountiful meal and joy in their hearts. We believe Christmas means family and friends, close together, celebrating love and kindness. Christmas also means customs and traditions that vary from country to country. This day, Christians celebrate the birth of Jesus Christ, but the holiday has been adopted by other people as well. Christmas has become an occasion for people around the world to show off just how much and how delicious they can eat. In a lot of ways, Christmas food means an elaborate meal all over the world. The following are some of our favorites. 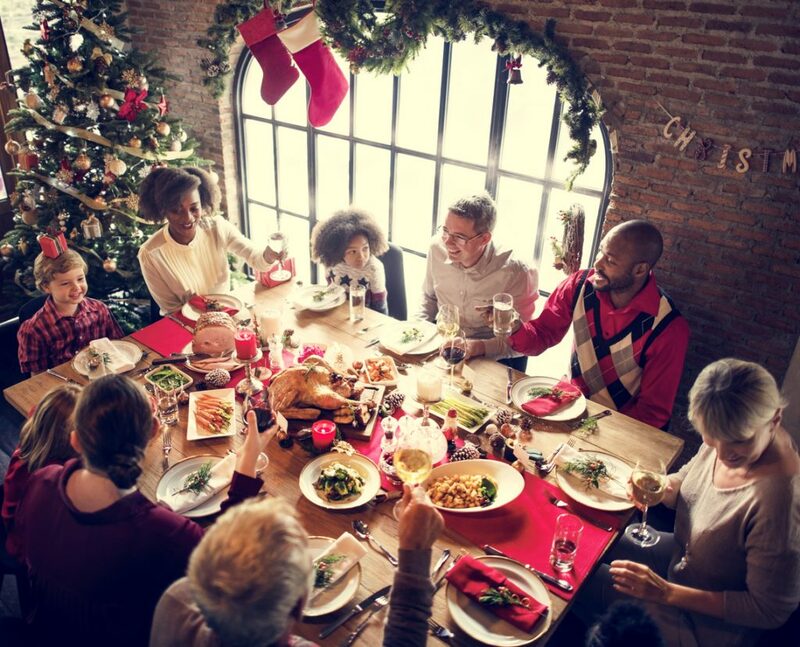 The United States of America has many different traditions and ways for people to celebrate Christmas, thanks to its multi-cultural landscape. Traditional Christmas dinner in the USA means roasted turkey, cranberry sauce, green beans almondine, Waldorf salad, mashed potatoes, candied yams, crescent dinner rolls, giblet gravy, and the desserts: ambrosia, coconut cake, and pumpkin pie. There are some special foods from the Southwest – where Spanish influence is prominent – that are associated with Christmas. One of the most important is tamales. They’re made of masa, a dough made of ground corn, and filled with different ingredients, such as chicken, pork, beef, green chili, red chili, and cheese. Before cooking, each tamale is wrapped in a corn husk, which helps it stay moist during the cooking process. Other popular choices for the holiday include blue corn muffins, empanadas, pozole, and caramel flan. The United States of America has many different traditions and ways for people to celebrate Christmas. In the South and New England, people love to cook both turkey and ham for Christmas. Southerners also make candy-coated pecans, collard greens, grits, sweet potatoes, crawfish, and finish their meal with cakes and cookies rather than pie. People in New England like lumberjack pie (similar to shepherd’s pie), oyster stew, lobster, clam chowder, oyster dressing, mulled wine, and plum pudding. In the Midwest melting pot, there’s a strong European influence in traditions and Christmas foods. These include lefse, a Norwegian potato flatbread, stollens, lasagna, sausages, ham, gingerbread cookies, and other European food items. Eggnog is traditionally consumed in Canada and the United States every year, from American Thanksgiving until the end of the holiday season. 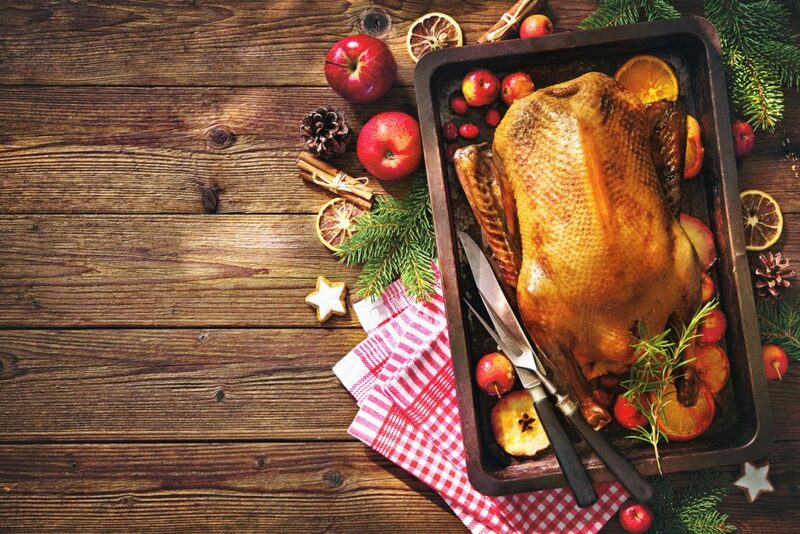 In the UK, the main Christmas meal is usually eaten at lunchtime or early afternoon on Christmas Day and consists of roast turkey, though other types of poultry are popular too. The main dish is served with plenty of sides: stuffing, gravy, root vegetables like carrots, Brussels sprouts, mashed potatoes, and cranberry sauce or bread sauce. As dessert, Brits have Christmas Pudding, chocolate, and mince pies, filled with a mixture of dried fruits and spices called ‘mincemeat’. Trifle is also a popular dessert at Christmas. 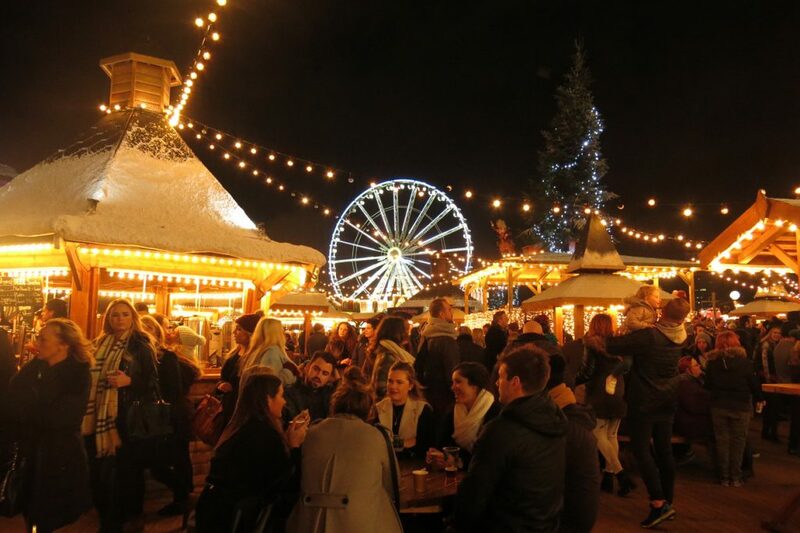 In London, there are plenty of Christmas markets where you can find seasonal food. For “Noël”, French people have the “Réveillon” (which means “eve”) as a main meal. The food served during Réveillon is traditional French food and often sophisticated. Dishes might include roasted turkey or goose with chestnuts, oysters, foie gras, lobster, venison, wildfowl, caviar, escargots, and cheeses. 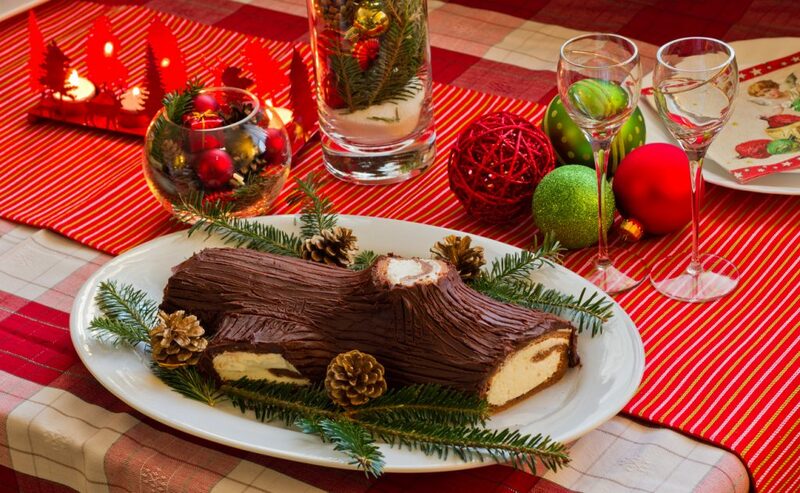 For dessert, French people enjoy a chocolate sponge cake roll, called “bûche de Noël”. In Provence, they take dessert time extremely seriously and serve up no less than 13 desserts at the end of le Réveillon. They’re supposed to represent Jesus and his 12 disciples. Among these are usually figs, dried fruits, and a traditional cake known as the pompe à l’huile, which is a sweet olive oil bread that’s a cross between a brioche and a focaccia. French people enjoy a chocolate sponge cake roll, called “bûche de Noël”. Christmas dinners vary in Germany, depending on the area. A large meal is traditionally eaten in the afternoon or early evening, and typical dishes include roasted goose or duck stuffed with apples, chestnuts, onions or prunes. Red cabbage with onions and apple, boiled potatoes, and dumplings are typical side dishes. Enjoying a good Bratwurst during the Christmas feast is also quite typical. German-style Christmas cookies are flavored with spices like orange, cloves, cinnamon, and cardamom. Germans like to eat roasted goose at Christmas dinner. Christmas has only been widely celebrated in Japan for the last few decades. It’s still not seen as a religious holiday or celebration as there aren’t many Christians in Japan. Still, they don’t lack festive cheer in Japan these days. Christmas food in Japan means sweets and cakes decorated with Christmas images. Strawberry shortcake is the Christmas cake in Japan. 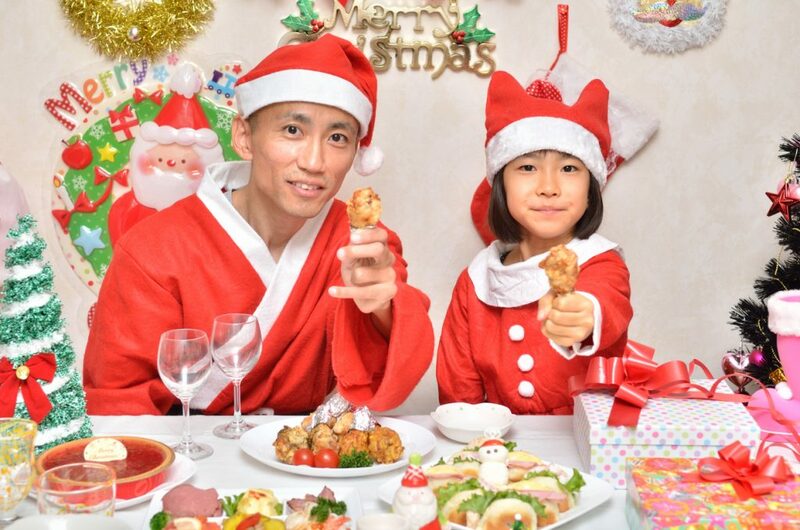 Besides desserts and the traditional wintertime drink called amazaké, Japanese people have a lot of chicken, KFC in particular, around Christmastime. The tradition of eating KFC at Christmas began in the 1970s with the company’s advertising campaign ‘Kentucky For Christmas.’ Many families pre-order their Christmas dinners with weeks in advance. Japanese people have a lot of chicken, KFC in particular, around Christmastime. Although Christmas in Australia is similar to British and American ones, the warmer weather makes the festive season down under a unique experience. Australians cook up puddings and mince pies. The main dish for an Australian Christmas feast is the preferably homemade ham. Typically, the ham is glazed with honey, maple or apricot, and is served with cranberry sauce or baked applesauce. White Christmas is a sweet Australian dessert, easy to make and loved by children. The no-bake dessert is made using Copha, desiccated coconut, dried fruit – sultanas, raisins and currants –, and rice breakfast cereal. Christmas Pudding is a tradition brought to Australia during early British colonization. On Christmas, Australians also eat seafood, mince pie, and Pavlova, which is a meringue, whipped cream, and fresh fruit dessert. 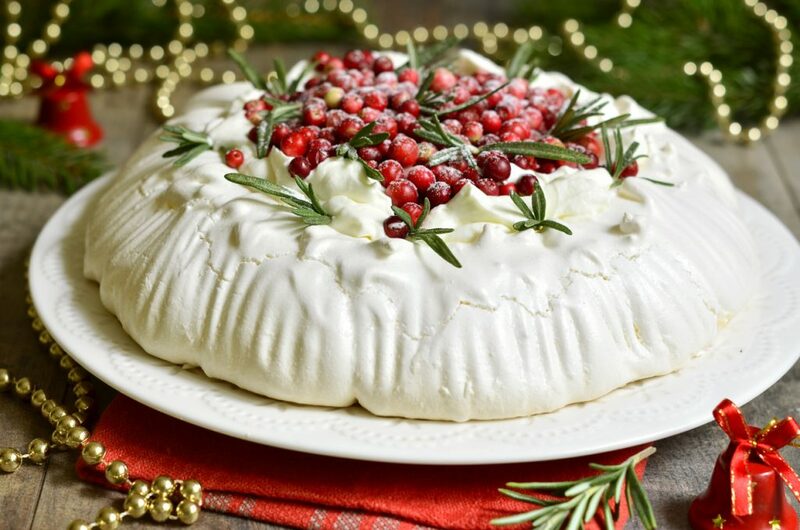 On Christmas, Australians eat Pavlova, which is a meringue dessert. 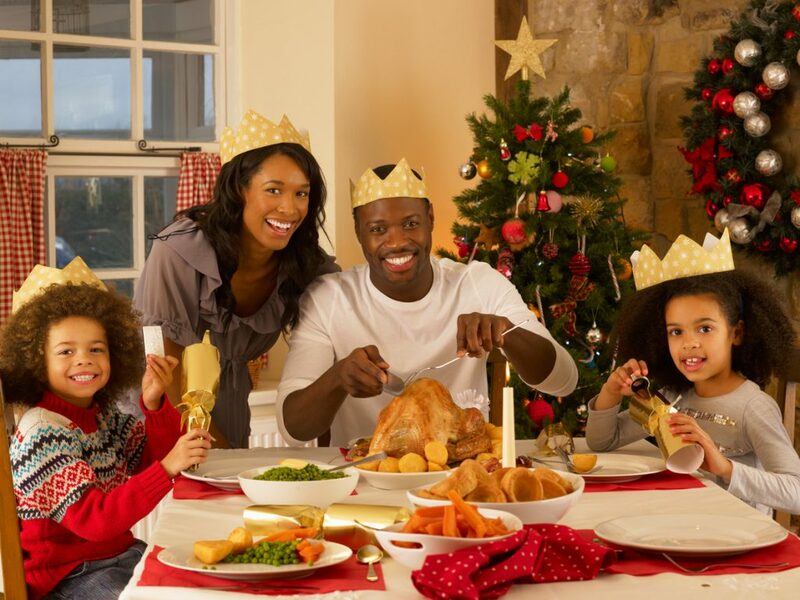 South Africa has several UK Christmas traditions, because of its history with the UK. The Christmas food in this country means turkey, duck, roast beef, mince pies, or suckling pig. Because Christmas in South Africa is during the summer, the meal is often eaten outside. They might even have a “braai”, which is a barbecue. They also eat a Christmas pudding, or a traditional South African desert called Malva Pudding, which contains apricot jam and has a spongy caramelized texture. The Christmas meal in South Africa means turkey, duck, roast beef, mince pies, or suckling pig. Ummm, in the Muslim world and unlikely to celebrate Christmas on a large scale?